Dozens of ravers drowned in a tragic boat accident over the weekend after they hit an iceberg off the coast of Newfoundland. The ravers, who had rented the boat to throw a school party, had next to no nautical experience. The only survivor, 22 year old television junkie Josh Wiggums, credits his love of the 1980s hit TV show Macgyver with saving his life. 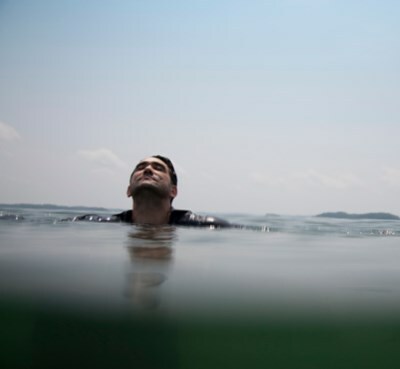 “Once the boat started sinking, I knew it was do-or-die time,” says Josh. “I asked myself, ‘what would MacGyver do in a situation like this?’ That’s when I noticed that the fattest kid on the boat had been killed after a turn table fell on his neck. I swam over to his pudgy body and used the remains of the turn table to transform his dead body into a serviceable raft." Josh agrees. “I think fat people were put on earth for a reason, and that’s to help skinny people survive horrifying tragedies. I’m grateful that i shared that boat for a fat kid, whose buoyancy helped me survive the harsh atlantic ocean. Blubber, combined with good old fashion Macgyverisms, saved my life. I’ll never forget that."